Today: A classic cocktail just might be the secret to weeknight dinner success. Raise your hand if your after-work routine often revolves around an ice cold beer. We thought so. But before you make that beeline to the refrigerator, consider the cocktail. Cocktails are the weeknight underdogs, reserved for weekends when there's more time to shake and stir (or go somewhere that will shake and stir for you), but a proper drink is a quick way to add some class to a casual Tuesday night dinner—especially if that cocktail's an Italian Negroni Sbagliato, which takes about five seconds to pull together. More: If you're insistent on your beer, consider the Beermosa. 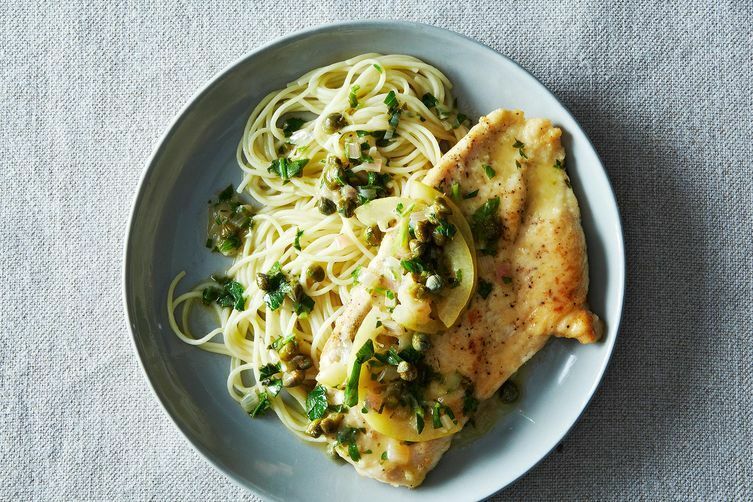 To continue with the Italy theme and add to your citrus intake, a classic chicken piccata just might be the answer. The chicken takes less than 30 minutes so you can sip your Negroni while you work (or whistle while you work and drink the negroni with dinner—up to you). Plate the dish over a pile of pasta and you'll have leftovers for tomorrow night, as well. We'll cheers to that. We are assuming you already have salt, black pepper, flour, olive oil, unsalted butter, chicken broth, and ice, but if not, add those to your list, too! 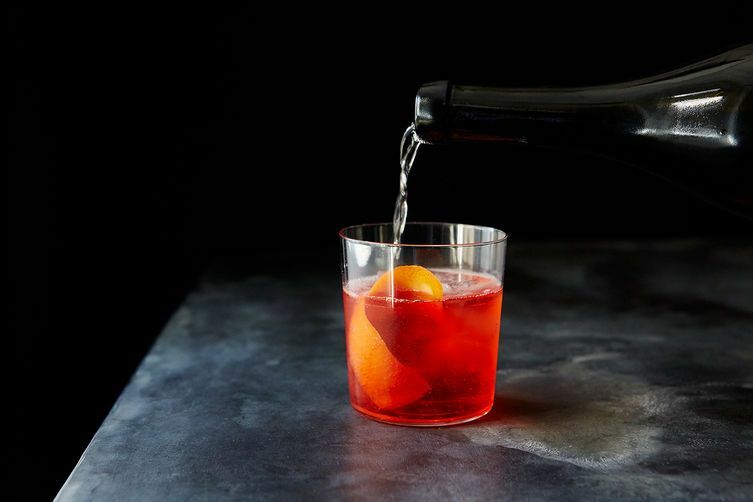 About 35 minutes before dinner (or earlier if you're planning on getting a drink under your belt before cooking), stir together a Negroni, replacing the gin with Prosecco. Serve, sip, and start thinking about dinner. Remember, you do have to use a knife, so use your best judgement here. With 30 minutes to go (Yes, it only takes 5 minutes to make a Negorni Sbagliato! This might be around the time you start asking yourself, why don't I do this every Tuesday? ), preheat your oven to 200º F, then trim, salt, and flour your chicken breasts for the piccata. Heat olive oil in a large, heavy-bottomed skillet over medium-high heat and cook each of the chicken breasts, until each side is lightly browned. Place each breast on a plate in the oven as each one is cooked. With about 15 minutes to go, cook pasta to al dente, then sauce with sautéed shallots, chicken broth, lemon slices and juice, and capers. Add some parsley and a pat of butter to the pan, allow the butter to melt, then spoon it over the chicken and pasta. The last few minutes are for you. Take a sip of your Negroni Sbagliato, revel in the lemony scent coming off of your chicken, and dream of Cinque Terre—for a minute, then it's time to dig in.